The Jewish Home (“HaBayit HaYehudi,” in Hebrew) is a religious, Zionist political party in Israel. It is currently led by Naftali Bennett. Originally established in November 2008, prior to elections for the 18th Knesset, the Jewish Home was a coalition of a number of right-wing national religious parties including Moledet, the National Religious Party and Tkuma. However, the different factions vehemently disputed the positions allocated to their candidates on the electoral list and the Moledet Party and some members of Tkuma split off from the coalition and reestablished the National Union Party with another rightist faction, Hatikva. Rabbi Professor Daniel Hershkowitz, a mathematician from the Technion, was chosen to head the Jewish Home. Under his leadership the party won three seats in the 2009 election. Before the January 2013 elections, Naftali Bennett was chosen as the new party leader. When the National Union broke up, Tkuma rejoined the Jewish Home as did a few members of Moledet. The party subsequently won 12 seats. The party was stained by controversy in the lead-up to the 2015 elections. An article questioning Bennett’s involvement in the deaths of 102 Lebanese civilians during Operation Grapes of Wrath was released in early January, but this development was overshadowed when the party released a campaign video the following week featuring the candidates discussing their negative views on gay marriage and equality. The party also had internal problems as some members were angered by Bennett’s decision to reserve the coveted number ten spot on his party list for Sephardic Israeli soccer star Eli Ohana. The party ran with Tkuma again in the 2015 elections and received eight seats in the 20th Knesset. In November 2018, the Jewish Home announced plans to withdraw from Prime Minister Benjamin Netanyahu’s coalition government, and demanded he call early elections after Netanyahu refused to appoint Bennett Defense Minister. This was not the first time Bennett had made such a threat; he had done so in 2014 over his opposition to the release of Palestinian prisoners and negotiations with the Palestinian Authority and, again, in 2016 over discussions of Palestinian statehood. As in the prior cases, Bennett backed down in 2018, largely out of fear that bringing down the government and calling elections would endanger his party’s chances for winning seats in the Knesset and raise the possibility of the right-wing losing its majority. Bennett did leave the Jewish Home, however, along with three colleagues who formed the New Right Party (HaYamin HeHadash). Following Bennett’s departure, Rafi Peretz was elected leader of the party. 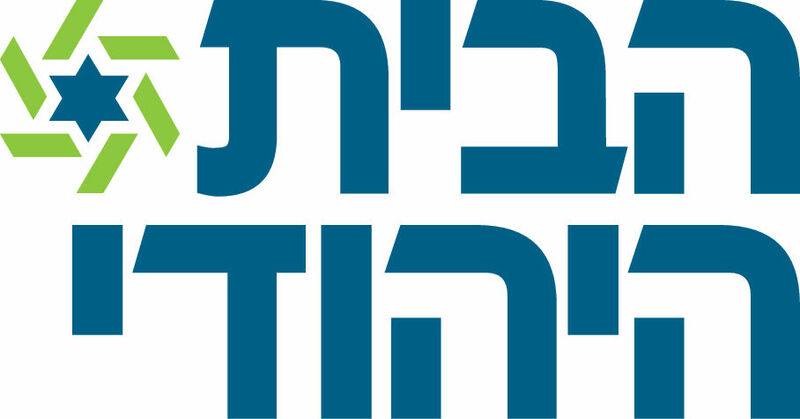 Prior to the 2019 election, the Jewish Home agreed to a controversial merger with the National Union, Tkuma, and Otzma Yehudit. The list was created after Prime Minister Benjamin Netanyahu urged the Jewish Home alliance to accept Otzma Yehudit as part of its list to avoid losing votes for the right-wing bloc and the possibility that the individual parties would fail to reach the threshold to win seats in the Knesset. The new list was called the Union of Right-Wing Parties. The basic party platform of the Jewish Home says the party is opposed to the creation of a Palestinian state on the West Bank and states that Jerusalem “is the eternal capital of the Jewish people and the state of Israel solely, and will not be divided.” The party’s platform also says that the settlements in the West Bank are important for Israel’s security, should not be uprooted in the future and should remain under Israel’s sovereignty. The Jewish Home states that it supports the privatization of government companies and will also demand to reduce manpower in the public sector. The party seeks to reduce taxes that it says hold back economic growth and encourage tax relief for productive sectors of the economy. The party also supports tax relief for large families and seeks to pass legislation on this issue. In terms of religious life in Israel, the Jewish Home says that it will “fight for the Jewish identity of the state on every level: culture, character, personal status, society and legislation, as a Jewish and democratic state.” Regarding issues such as civil marriage, The Jewish Home says that it will act to strengthen the current status quo, which does not permit civil marriage but will also seek alternative solutions for this “sensitive” issue.